Turkish construction firm Ronesans has managed to secure a major contract during the visit by President Recep Tayyip Erdogan in Russia. It a statement, the Russian Direct Investment Fund (RDIF) said Ronesans will build a network of medical units at Russian universities. 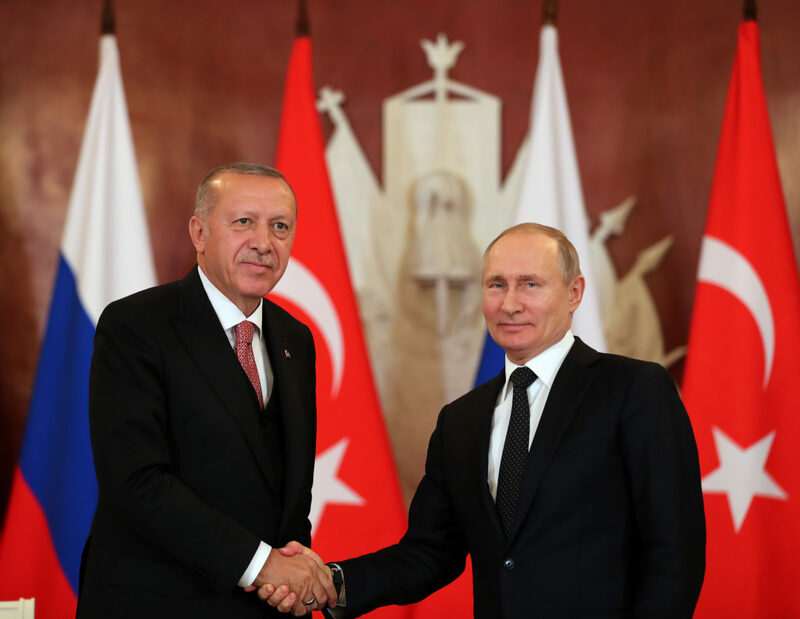 Ronesans announced the corresponding agreement was signed during the Erdogan and Russian President Vladimir Putin’s official meeting in Moscow on Monday. “The project will see the creation of a network of high-tech multidisciplinary medical units, using a single database and a common technological platform connected to medical centers at leading Russian and foreign universities,” the sovereign wealth fund of the Russian Federation, RDIF’s statement detailed the contract. RDIF explained Ronesans will not only built the medical units but also enable a needed update of medical equipment, consumables, medical devices and medicines which are essential medicines in Russia. “The successful partnership between RDIF and Ronesans Holding allows us to begin the implementation of a new large-scale project – the creation of 15 medical units at Russian universities. This project will improve the quality of higher medical education and utilise the advanced scientific achievements in the biomedical and digital technology fields and will fulfil the goals set by the national projects ‘Science’ and ‘Health,” Kirill Dmitriev, CEO of RDIF said. “We have cooperated with RDIF in various ways since 2017. Today we take the first steps towards the foundation of 15 medical units at Russian universities across different regions of Russia. Through this project, we shall bring Ronesans’s rich experience in the Turkish healthcare sector, medical construction, and health care facility management over to Russia,” said Dr. Erman Ilıcak, President of Ronesans. Ronesans Holding was established in 1993 in Russia’s St. Petersburg, has made real estate investments around 1.3 billion US dollars in Russia. The company operates in 28 countries with over 75 000 employees throughout the world. Ronesans, which built Erdogan’s 1100 Room Palace, ranks 36th in the world and 9th in Europe, on the ENR list that rates the world’s top contractors. The group, which saw USD 4.2 billion global turnover and USD 8.1 billion asset size as of the end of 2017, also constructs heavy industry plants, chemical, and pharmaceutical manufacturing plants, food and beverage processing plants, automotive and machinery production factories. Turkish Boldmedya asked about the big investment agreement and what concessions were made to Russia as the Ronesans’ massive investment was made in a period when Erdogan was in Russia? Bold said this tender is lifeline support for the business, amid the collapse of the Turkish construction sector. Besides Ronesans’ tender, Erdogan’s focus was an S-400 missile system in Russia. Despite USA’s pressure, Erdogan said plans to buy the Russian S-400 missile system is a ‘done deal’ in the official meeting with Putin.